In this series of 30 daily articles celebrating the upcoming 30th Anniversary of Super Mario, various members of the Nintendo Life extended family will share their memories and thoughts on the iconic franchise. First up is site editor Tom Whitehead. I've confessed in the past, and will do so again - I've played a lot of catch-up in becoming a dedicated Nintendo fan. Growing up in the late '80s I had a ZX Spectrum (a UK system rather like a Commodore), then a SEGA Mega Drive / Genesis, a PC and then a Nintendo 64. Though I've explored retro libraries a great deal since, when growing up we were a PC and one console family (no Game Boy, either), and I was a SEGA kid during the infamous Bit Wars. I adored the Nintendo 64, but there was a problem - it belonged to my older brother and he then went to University. As there was a rather beefy PC in the house that was my focus - the perils of Championship Manager and Tie Fighter - and I skipped the GameCube generation too. Yep, I'm a fraud. When the Wii rolled around though, it drew me back into the console world and - with no hyperbole intended - changed my life. I spend my days writing about Nintendo because that system lit a fire in me, prompting me to rapidly catch up with retro classics, fall in love with the DS - and portable gaming as a whole - and become a dedicated fan of the company, spending a lot of money immersing myself in its systems and games. Yet it wasn't Wii Sports that rocked my world and brought me back to console gaming, but rather Super Mario Galaxy. I'd enjoyed Super Mario 64, of course, and its 3D world had blown my mind, but it's Super Mario Galaxy that thrilled me and set me on a path to where I am today. Without its spark of creativity and its allure, there's a chance that the following years could have been very different for me. I was a regular on various gaming sites back in the mid noughties, of course, and was very aware of the 'console war' - at launch PS3 was overly expensive, Xbox 360 was cheaper but had reliability issues, and then the Wii was a phenomenon. SD and graphically weaker, its motion controls went mainstream in a big way and made stock hard to find in its early days. By this point I had part time work and was dithering over which system to buy, with the Wii leading - money was tight, though, so I was being very cautious to make the right call. Then I saw a video review of Super Mario Galaxy. It was my second 'wow' Mario moment, actually equivalent in power - to me - as when I first saw Super Mario 64. Technologically it wasn't a new dawn, but in terms of design and sheer artistic brilliance it was. I watched that video review over and over - as it captured the game beautifully - and I had to have it. The morning after I saw the review I went to the shops and bought a Wii. So, I'm not someone who's first Wii memory is bowling with the family, or a round of Tennis - the first game I played was Super Mario Galaxy. The visuals were stunning and the music was incredible, yet it was the playful anarchy of its planetoids and gravity manipulation that truly drew me in - impeccably designed, it was as natural and fun to play as any video game I can think of. It's a stunning achievement, and I think it'll stand the test of time. From its subtle but brilliant use of the Wii Remote and Nunchuk, to its tight controls, it's the complete 3D Mario experience. It set the bar so high that Super Mario 3D World, despite its strengths, struggles to be regarded with the same esteem. I'll never forget the precision of the Bee levels, and Gusty Garden Galaxy (with THAT music) may be my most treasured Mario environment of all. When it comes to picking my favourite ever game, Super Mario Galaxy is definitely in the running for top spot, and its sequel is also a gem for the ages. Super Mario Maker celebrates 2D Mario, but this broader Anniversary celebrates the franchise itself. I'm delighted with that, as it's given me the chance to share my appreciation for the out-of-this-world Super Mario Galaxy. Not only is it one of the greatest games ever made, but it sparked a passion in me that transformed my path in life. Not many games can do that. my second favourite game of all time. gameplay wise the best i have ever played. it is just super fun. 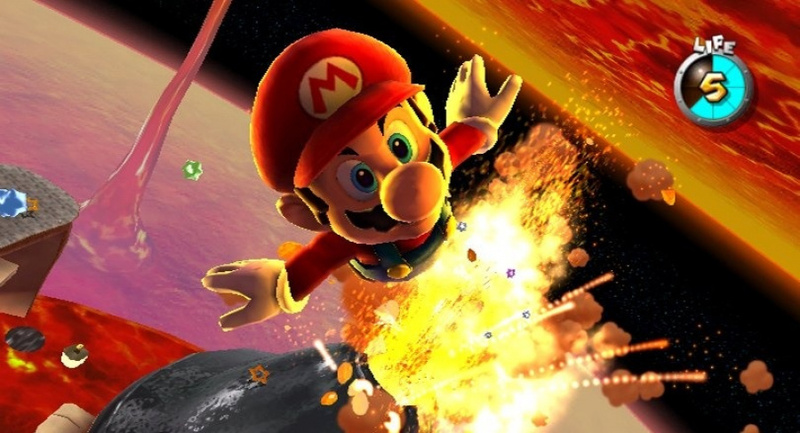 Have to agree - I think Super Mario Galaxy 1 and 2 are the best home console Mario games ever. One of the best game ever and definitely my Favourite (Galaxy 2) on Wii. It is a game I see myself playing still in the future... evergreen. Super Mario Galaxy is my favourite game of all time. And I've played quite a lot being 37. As far as the main Mario series, this game brought back the child-like wonder I hadn't felt since Super Mario World. The Paper Mario series will always be my fave, but this is certainly in my top 5. 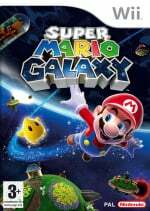 The Mario Galaxy games are amazing, there's no doubt about that. As much as I enjoyed 3D Mario titles, I was never too big on this one, personally. Compared to the other titles, where I felt contented enough in that they left an impression on me (even Galaxy 2, 3D Land, and 3D World), Galaxy 1 felt like a game that I wanted more out of. Luckily, Galaxy 2 saved the day for me. No, I played Galaxy 1 in 2008 and I wasn't disappointed with it. At least Galaxy 1 still had good soundtrack. I didn't take to Super Mario Galaxy like I did with other Mario games, and I've been playing Mario games since the late 80s. Sunshine, although a great game in it's own right, didn't live up to SM64. Galaxy wasn't far from 64 but it still felt to me that Nintendo lost a little bit of magic. After the toned down casual boredom of Zelda TP I promptly sold my Wii and got a PS3. Fast forward to 2012 and I got my Wii U a couple of months after launch and during the dry spell I purchased the Wii games I didn't get to play. SMG2 was/is amazing and is far superior to it's predecessor in every possible way. I never understood the hype for these games really. These were the only 3D Mario games I never completed and I have tried multiple times... to this date, I am about 3/4's done the first one and hardly into the second. They just didn't feel the same. I loved sunshine and Mario 64 was really nice... but Galaxy... I don't know. it just wasn't my type of Mario game I guess. Running around on small planetoids just wasn't my thing. Sure, they were beautiful, music was great but overall, I'd take the other 3D Marios over this any day and I'll always see the galaxy games as a bit over-rated. Super Mario Galaxy (1 and 2)... was kinda meh, to me. The main reason is just how linear it was. 64 and Sunshine were giant sandboxes in their own right; aside from a few stages in 64, you could just roam around the area, find your own path. And those hub worlds... Delfino Plaza actually FELT like a tropical resort. Galaxy had this oddly shaped and rather small spaceship for a hub. It just felt limiting. That's not to say the Galaxy games are horrible. But it just seems odd to first use 3D to give you a nice wide, open world... but then reduce it to a set path. And while the Galaxy style hasn't been seen in a long while, it still influences the new "3D" series. This may sound harsh, but, I kinda hope that Nintendo retires both the "New" games and the current trend for the 3D titles, and tries to take things beyond SMB3/ SMW for 2D, and 64/ Sunshine for 3D. Everyone praises the 2nd one but the first was such a huge boost in the 3D platforming genre. Most of the levels were totally out of the box thinking. I'm not holding my breath but I hope Nintendo does an HD remake similar to what they did with Wind Waker. SMG 1 and 2 are for me the two best Mario games of all time, fun and imaginative. For me it's a four way tie between "Super Mario World", "Super Mario 64", Galaxy 1, and Galaxy 2. They are all so perfect! Tom, I totally understand you, mate. I skipped the GameCube - was in college, doing Biology lessons and struggling to be a secondary school teacher. Then my mom gave me this blessed thing called Wii. 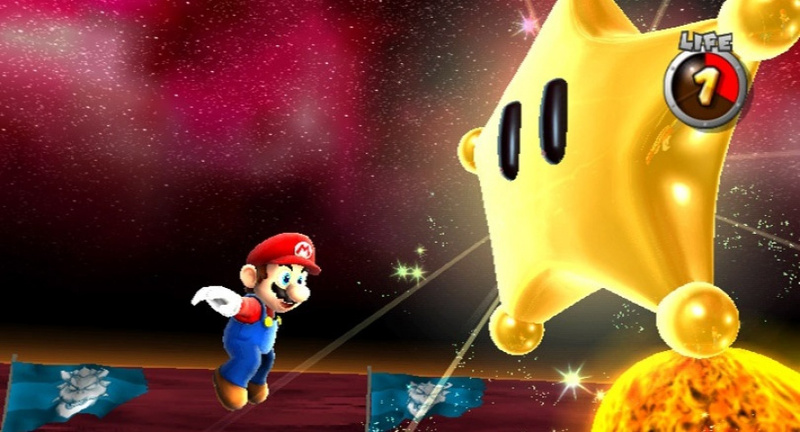 When I played Super Mario Galaxy, it was a moment of wonder after another after another. Gusty Gardens captived me so much I played several times just to hear that music. It was the first time I realized video games are an art form. Seriusly, man, it was - literally - watersheding. After that, Metroid Prime 3 and Galaxy 2 (and the Gamecube library I caught up afterwards) I couldn't understand why people didn't own a Wii. I got a Wii after a 7th year break from gaming, with this one being one of the first games I picked up. Really great game but I still prefer the sequel. I just want to slap people who say "I didn't care much for Super Mario Galaxy; I much prefer Super Mario 3D World." I honestly don't know why people like this game so much. I prefer Sunshine and 3D World. It wasn't until the summer of 2008 that I actually bought the Wii system. I vividly remember playing Super Mario Galaxy for the first time. The way you could hop from planetoid to planetoid, the music, the way the game played with multiple gravity fields, the gorgeous graphics and excellent art direction, Mario being launched into space while you brushed star bits from the heavens; it was all perfectly balanced and immensely diverse. At one moment you were balancing a ball across an obstacle course, at another you were collecting purple coins while the floor collapsed under you, then you were buzzing along as a bee or fighting a gaint rock monster. Some levels, like the beehive stage, were much like in 64 or Sunshine in that you could go out and explore in a kind of open-ended fashion, while others had a more fast-paced and linear progression like in the side-scrolling Marios. The same diversity was present in the level themes. There were the deserts from Super Mario Bros. 2 and 3, the airships also seen SMB 3, the tropical environments from Sunshine, the grassy mountain levels from 64, the haunted mansions from Super Mario World. It was like a celebration of every Mario game that had come before it, but wrapped together in a galactic backdrop that made it still fresh and new at the same time. All that somehow culminated into something that was more than the sum of its many gloriously entertaining parts. I've never quite played a 3D platformer as impressive as this, with the exception perhaps of its sequel. I love Galaxy 2 better than the original one simply because of its replay value. But of course, these games are great and I have no regrets playing them even though I can claim Super Mario 64 and World as my favorite games of all time. I adore Super Mario Galaxy. I bought a Wii (preemptively in August 2007 because of the high demand) just for that game and Metroid Prime 3. I hadn't skipped the previous generation and also had a 360 so it wasn't like it brought me back to gaming, but the sense of joy and wonder I felt when I played Galaxy for the first time is hard to describe. It made me feel like I was little again. I was so giddy and just couldn't stop smiling. For a game to really make me smile is the mark of an exceptional game. I absolutely love Mario Galaxy. I remember opening it and playing the first few levels. It had a feeling of magic and I couldn't stop smiling, not too different from playing Super Mario Bros. for the first time as a 5 year old. And I agree that Mario 3D World is brilliant but just doesn't have that magic factor for me. It's interesting that a lot of people are describing this game as 'magical' and bringing them a sense of childlike wonder. I feel the exact same way about it, there's an incredibly difficult to explain extra layer of greatness over this game that elevates it and its sequel above or games like 3D World and Sunshine. Galaxy was so good, especially the music. Rosalina's story was touching as well, such a unique addition to a Mario game. Super Mario Galaxy 1 and 2 are really great games. Great music, good graphics for Wii, and great gameplay. I do slightly prefer the second game over the first for the levels. The first game captured the atmosphere and story much better than the second game. I wish they didn't abandon the story from the first game, it would have made the second game much better. The post game for both games isn't really that much fun to replay, which means replaying the whole entire game as luigi in the first game and finding the green stars in every level in the second. The green stars is better than replaying the game again as Luigi, but it still isn't that much fun. Still, these games are really great Mario games that should definitely be played. Super Mario Galaxy is my favorite Mario game of all time. Becuase Rosalina came to life with an amazing backstory. I hope Rosalina gets her own open world 3D game. That explores more of Rosalina's backstory and how she got her power. The plot can be save her Lumas from Evil and build the plot a little deeper. @Mr_Zurkon yes Rosalina's backstory has such a happy and sad moments. I love Rosalina becuase of her amazing backstory. Lol it had me cry a little. Rosalina is a well developed character. Love Rosalina! She is favorite character. @grumblebuzzz same here! Love Mario galaxy mainly because of Rosalina and her backstory! I dunno. I loved Mario Galaxy 1 & 2. But Super Mario 3D World takes the cake for me. I even tried going back to the Galaxy games and although they're amazing, I just prefer to play 3D World. @Turbo857 3D World had some really inspired level design like the circus theme and Bowsers marching troops. plus I really liked the cat suit. I beat the first Galaxy on a rental and have never looked back. I made the mistake of buying Galaxy 2 for $10 on the Wii U and have only started it twice. They just feel like a regression after Super Mario Sunshine introduce new gameplay elements. The F.L.U.D.D. gave new puzzle options while Galaxy brought a Bee Suit and tiny planets. Yup, Cat suit was awesome and you just never knew what you were going to get with each passing stage! The fact that they got 4 players in a 3D Mario, to me, is an amazing achievement. When I compare the power-ups in 3D World to the Galaxy games, I just think 3D World beats'em hands down. I'm making a YouTube review of this game. It's my most favorite game of all time. TIE FIGHTER ! YES. This and SMG are in my top 5, maybe top 3 games, of all time (Ok, I would choose SMG2 over SMG but you get the deal). Yup, Galaxy/2 are definitely up there when It comes to the best 7th gen games, let alone best Wii games. Brilliant stuff. I'm hoping we get another 3D Mario along the lines of Galaxy and the likes soon. Don't get me wrong; I adore the brilliant 3D World, I just want to get back to exploring an epic world. Super Mario Galaxy is an absolute joy to play. That first level, the music, the controls, I found it absolutely magical, easily one of my favourite games of all time, and I've been playing since the C64. When they announced SMG2, I was so happy, I couldn't think of anything better than more Super Mario Galaxy! I recently played it again on my Wii U, and just this morning my four year old son asked could he play it. It's a masterpiece, one of the greatest of all time.. in my humble opinion. @CosmicYoshi65 Part of the fun of both SM64 and especially Sunshine was finding out how to get where you were not supposed to be with the F.L.U.D.D. or new ways to get to the goal you are addressing. I was exploring an open world. To me Galaxy felt more restrictive, like I was walking in a walled garden. As for the sound and graphics, they are nice but don't replace gameplay for me. If they mattered that much to me, I wouldn't have gone with the Wii U this time around. Pleasure to read this article. I love Super Mario Galaxy, to the point where I might name it my favorite Mario game. As someone who was lucky enough to play Mario on Super Nintendo, I knew there was something special about this game when I first saw it, and I knew I wanted a Wii ASAP. I got a Wii in mid 2007 and Galaxy for Christmas that year. I wasn't disappointed. Seeing the colorful worlds accompanied by a stellar soundtrack made me feel like a kid again, going on a grand adventure like I did with Super Mario World. It took me longer than desired to finish the game (thanks to sensor bar and Wiimote problems and living on a budget), but when I did it was similar to those movies where a kid went inside a storybook and popped out at the end. Afterward I dove back in and got all the stars with Mario. I started a run with Luigi, but Wiimote and sensor bar problems currently leave the playthrough unfinished. Nonetheless, I'll always remember my time with this game, and I'll get the sequel first chance I get. A beautiful, glorious game. Shame they couldn't quite reach the same heights with Mario 3D World but everyone has peaks. SMG is definitely one of Nintendo's. I'd love to see a HD, waggle free remaster. One of the best games I've ever played for taking you out of real life. When I was having a bad time after a personal tragedy in 2012 it was the sights and sounds of Mario Galaxy that got my mind off things. Without a doubt one of the landmark gaming achievements of the 7th generation and gaming in general. I bought a Wii just for this game, and I didn't regret it one bit. This game and its sequel are two of the only Wii games that still hold up to this day, in gameplay, graphics, music, and controls. An HD Super Mario Galaxy Collection would be a Day 1 purchase for me. I've not finished SMG and shouldn't say much about it as it's a long while since I played it, but I fired up SMG2 last week, having never played it before, and I think I instantly found it more fun due to the extra dimension brought by having Yoshi to run round on. But I think in time they should effectively be seen as one game, and brilliant ones at that, that I vote to complete sometime soon. I don't really think SM3DW can be compared because it's really a multiplayer game and deserves it's own podium to stand atop of. Man, I really want to play Galaxy and Galaxy 2 again. I never beat either of them, simply because I just wasn't as interested in Mario in 2007. Then I played New Super Mario Bros. DS and SM64 DS. I love 3D World so much, hopefully when I get around to Galaxy again (my disc keeps freezing , I tried the other day), it can live up to my experience with 3D World.